This week I’ve been lucky enough to explore Berlin, while we launch our 15th Rebel Meetup location here. It’s a city that’s quite reflective of the past and that’s meant I’ve been doing some reflecting too. I wanted to take a moment to write something a little further to the press release we put out on Tuesday, regarding our new announcements, next moves and the story so far. On Tuesday we announced something I’ve long hoped would come to fruition: brand partners who will help power our growth over the next 12 months. Now, before I get sentimental and personal about the journey let me outline what and who they are. Brand partners, for Yena, are essentially sponsors but very much not in the traditional sense of that word (hence our different take with the ‘partner’ narrative). They’re brands who want to access our community as they understand the strategic opportunity in being involved in the next generation of clients, consumers & talent — exactly what the Yena community comprises — however, they also deeply care about supporting those people with what they need to build the visions they have. In the case of the partnership/sponsorship conversation, it’s important to outline that we’ve been very careful(I can’t stress that enough) to ensure that the people we work with in this capacity are a perfect value alignment with us and our community, ensuring a win/win/win for us, our partners and our community all-round. So rest assured, everyone we’re working with has been thoroughly vetted for the right culture, approaches, desired outputs and brand, to fit everything we do. 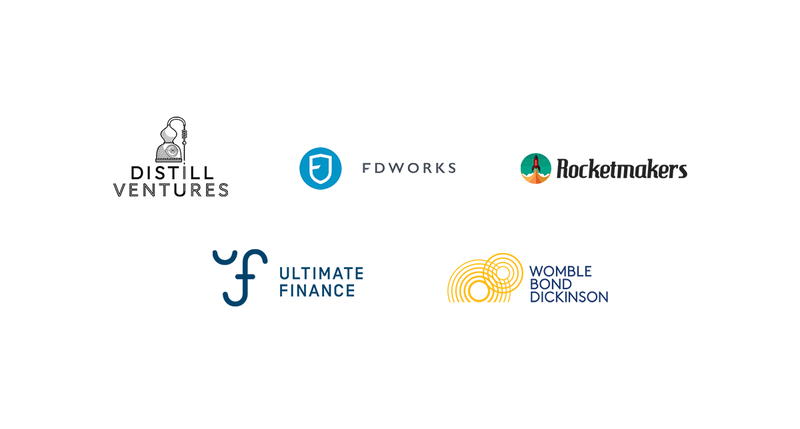 Amongst the new partners are the business funder Ultimate Finance, international law firm Womble Bond Dickinson, Diageo-backed drinks investors Distill Ventures, app & software development company Rocketmakers and accounting firm FD Works. Each of these has a sector exclusive relationship with Yena over the next year to help support and grow their community through educational content and mentoring as well as sponsorship of our UK-based and international meetups. It’s been a crazy journey this far. 5 years into building a community that was never supposed to be as big and as impactful as it is now and 2 years into building a product for that community to solve the multitude of issues they have every day when starting & growing their businesses. It’s definitely taken a long time to figure out exactly who we are but I’m incredibly excited for the next 12 months for a number of reasons. Firstly, we now know who we are as a brand but are still yet to cement that fully to everyone else. This may sound frustrating and at times it can be, but as a marketer it represents an opportunity that, if we’re already able to spread our name far and wide with virtually £0 budget and during a time of ‘figuring ourselves out’ then what’s to come should logically be a era of amazing interactions, fun marketing campaigns and fully expressive activity — showing the world who we are, what we’re about, what we stand for and why it matters; along with a cheeky tone of voice we’re starting to take ownership of. Secondly, our product is now proven with hundreds of customers across the UK and starting to see demand & commercial growth globally. Our core mission has blossomed into something quite profound: To improve and deliver high quality business support in an accessible way to anyone, anywhere, instantly. That’s quite a lofty vision but we’re coming to the end of our long-time MVP process in reality and now we know it works, we’re ready to scale. What does this mean for our product? Well, it can only get better and help more people across the world. What does this mean for our team? Well, it may need to be a little bigger than just the two of us that run everything at Yena HQ currently. Does this mean we’ll be raising some funding? Perhaps. We’ve avoided it for as long as possible, opting for sacrifice over sell-out to ensure controlled, tangible, sustainable growth and a solid business model, before looking to the millions of people every year that start, grow, and often fail in growing a business. You’ll no doubt be seeing more technological developments come from Yena in due course, people, campaigns, and just a whole lot more, and high quality everything. Now that’s exciting. Third (and final, for now), our Meetup communities now connect over 3,500 ambitious rebels across 15+ cities totalling over 120 events each year to share, learn, collaborate and, most importantly, know they’re not alone in being a little different to the ‘norm’. If we’re able to do that already in such a lean way with one person spending just a few days a week, how much could we do with a small dedicated team? The blessing and the curse of running a community-built-business is that there are so many challenges people have that need fixing that we could (and want to) fix all of them — a huge opportunity whichever way you spin it. However, doing all of that would dilute us too much, too fast, and we’d lose our momentum. So my job now is to be ‘Chief Strategist’ and make decisions on where we go next, based on a combination of trends, demands, assumptions and trials. The joy about having these partners on board now, means that we’ll be able to, more than ever before, afford to make those moves. Many people don’t know/realise that we’re completely bootstrapped with only £300 of grant funding about 4 years ago (which I ended up spending most of getting home from London after missing the last train… but that’s another story). So now we have the resources from our partners in the form of expertise, time, revenue, global reach and professional support, we’re likely to see our rate of growth increase. Something I think I can say that both Yena and our new partners are excited about because of what it means for the delivery of business support on a global scale for those who need it most. So here’s to this milestone. Brilliant partners. Big goals. A bumpy ride. And more to come. And here’s to you for reading this little bit of appreciation for those who believe in our journey enough to partner with us, join our community, come to our events or just take 5 minutes to read my ramblings. Thank you. I hope we continue to grow. I hope we do you proud.